The dental office of Dr. Emad Fahmy. We provide our patients with general and specialty dental services. That includes general family dentistry, orthodontics, implant dentistry such as bridges and crowns, cosmetic dentistry such as veneers and teeth whitening, and other dental care services to help families maintain strong, healthy teeth and beautiful smiles. 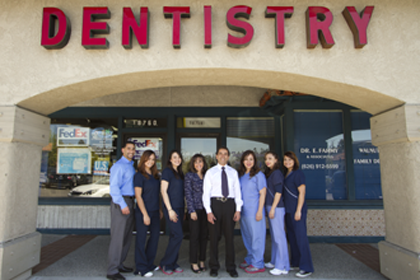 We look forward to taking care of all your dental needs. Please call our offices at 626-912-5599 to schedule a consultation.